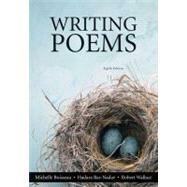 The gold standard of poetry writing books, Writing Poems, 8/eis a comprehensive, easy-to-use guide that will help aspiring poets to create meaningful works. The Man. His Bowl. His Raspberries.